December 5, 2018 Dan O. 21,000 years ago, all of the world’s species exist. This makes for a magical moment in time, but also, remains a very deadly and dangerous time where all sorts of animals are out there, lurking in the darkness, just waiting for their next prey to walk on by. It’s why humans have all stayed within their tribes, communicating in their own ways, and never forgetting to stick together, no matter what. These are the same rules that the tribe Koda (Kodi Smit-McPhee) belongs to live by and hold as second-hand. And now, with his first hunting trip on the way, Koda feels as if it’s finally time for him to grow up and be respected within the tribe. However, that all changes when he’s left for dead and forced to fend for himself, which also somehow leads to him being taken-up by a wolf and the two work hand-in-hand, create their own tribe, and do what they can to survive out there in the very harsh landscape. Alpha is much better than you’d expect. Hell, it was much better than I expected; after being shelved not once, not twice, but three times by its studio, and also looking like the cheesiest dog-and-boy movie since See Spot Run, it’s hard to want to see it. But surprisingly enough, Alpha is an enjoyable sweet and heart-warming movie that is, yes, predictable, formulaic, and family-friendly, just as everything about it promised, but it’s also got some nice little touches here and there that make you think it’s much better than its studio ever gave it credit for. It’s still cheesy, though. Don’t let that be forgotten, no matter how far and wide I go with this praise. Director Albert Hughes, who is mostly known for taking on stark dramas with his brother, Allen, seems to have toned things down for himself and made what could eventually be called “a Disney movie”, but hey, it kind of works. Though there’s something inherently lame about “a boy and his dog” movie, Hughes at least sinks his teeth into it, gives us all of the cute cut-aways, the silliness in between the adventure, and the insane amount of love between the two characters. While most of the movie stays silent and features little-to-no dialogue (dialogue which is in some made-up foreign-language for some reason), it tells us a visual-story that we wouldn’t need words for. And once again, that’s fine. 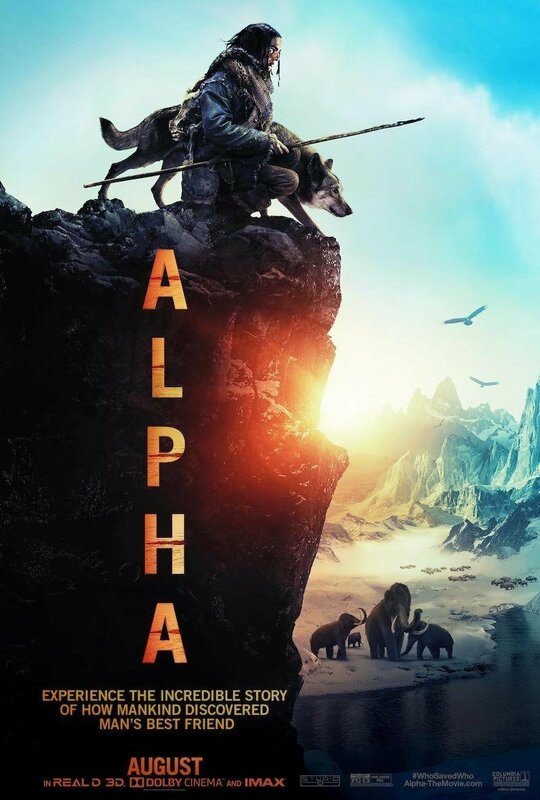 Cause Alpha is a movie that sets out to entertain the whole family, teach us some life-lessons about our relationship with animals, and also remind us to all take care of the wild (which is a little hypocritical coming from the movie that literally butchered animals on its set). It’s a little movie that doesn’t ask much from us, but our undivided attention and to give it the time of day. And even then, it’s not really asking much; Alpha is so low-key and muted, it’s almost as if it’s even there. Normally, that means something bad, but in this case, I can make the exception. Consensus: As cheesy as it gets, Alpha always remains an enjoyable sweet and heartfelt tribute to boys and their dogs. Or at least something along those lines. Now, live happily ever after. The end.